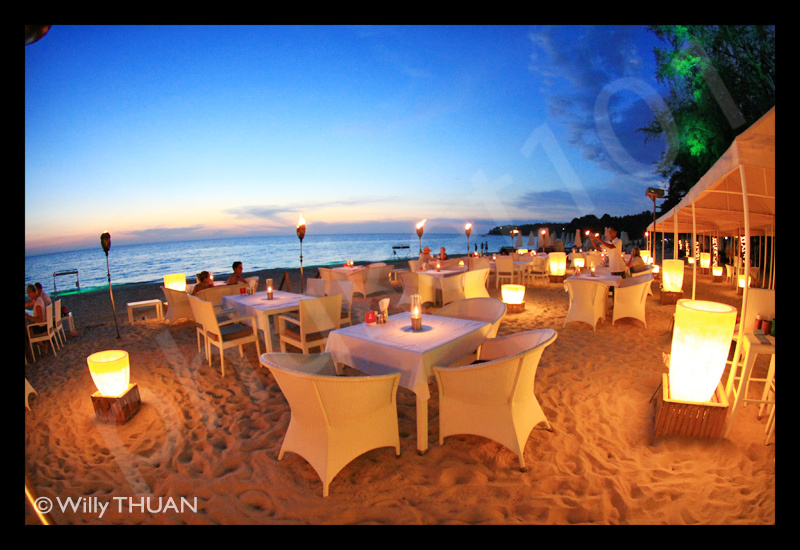 Pla Restaurant is set on the beach of Surin. 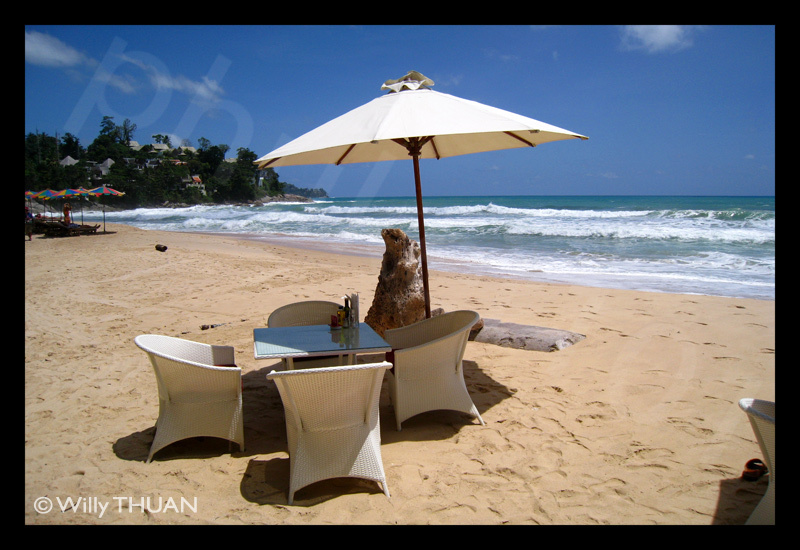 How many trendy restaurants in Phuket have their tables set in fine white sand? 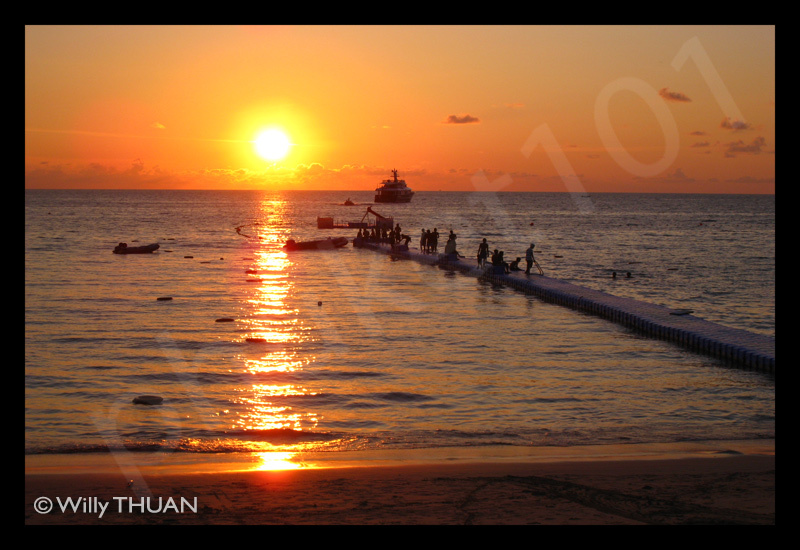 And I do mean right on the beach, not on the side, not on a platform… Here, you sit in comfortable white loungers, get your shoes off and feel the powdery sand slide between your toes. Add to this a generous sunset and a glass of cold wine and tell me how much you miss home. I don’t know how they pulled it out where no one else could, but none of the many restaurant around has managed such beach setting. Nice design, real table clothes, white chairs with cushions, candles on table and torches around the dining area give a nice romantic feel. 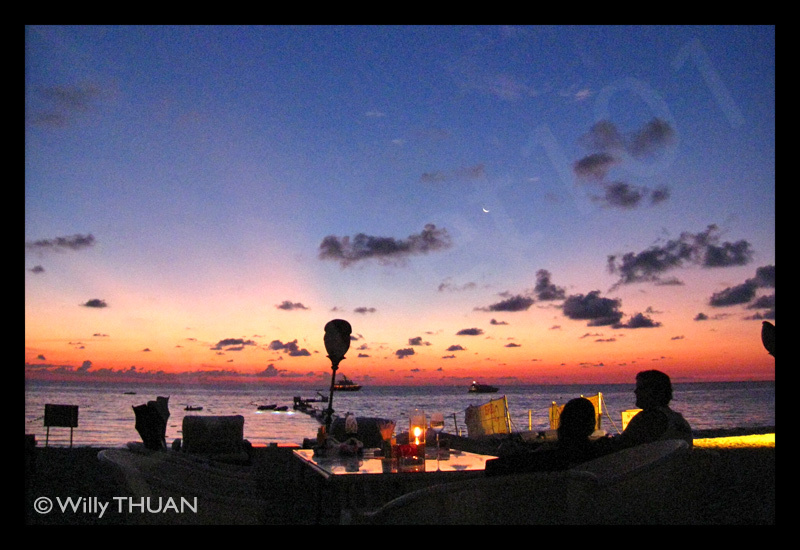 Make sure you come early, not so much to get a good sit, more to enjoy the sunset and the fine hour that follows. On that evening, We had a good steamed whole fish with ginger and an excellent ‘Nam tok’, a spicy tender beef salad, but strangely the ‘Tom Yam’ was rather below expectation. The verdict? 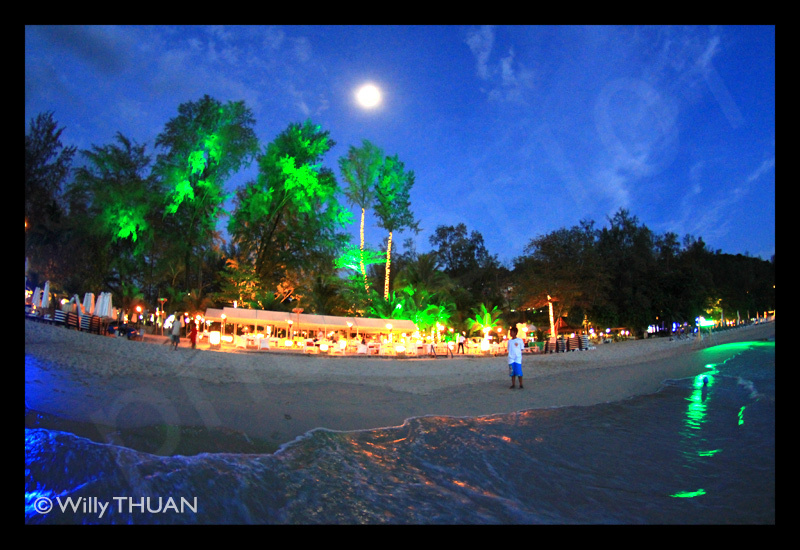 Food is good but not extraordinary and service is rather cold, but the setting is worth every baht of it.